I see a lot of wacky things in my travels, so it takes a lot to surprise me. This just blew my mind with a mix of shock, incredulity and yes, a tiny bit of envy. I took these photos on a city street in the middle of the fifth largest city in Japan. 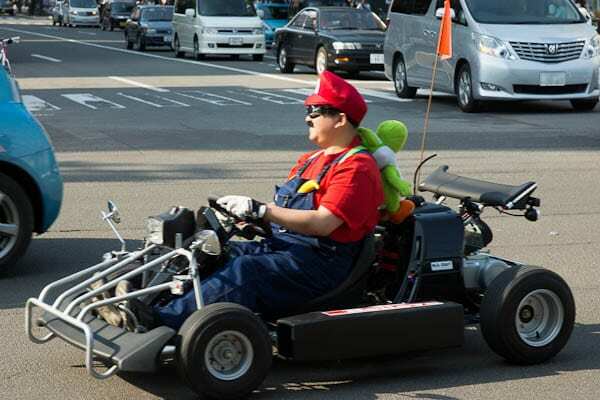 Oh and incase you missed it, yes this oversized man on an undersized gocart is rockin’ a Yoshi backpack. I can’t wait to share this with my Grandson. sweet. 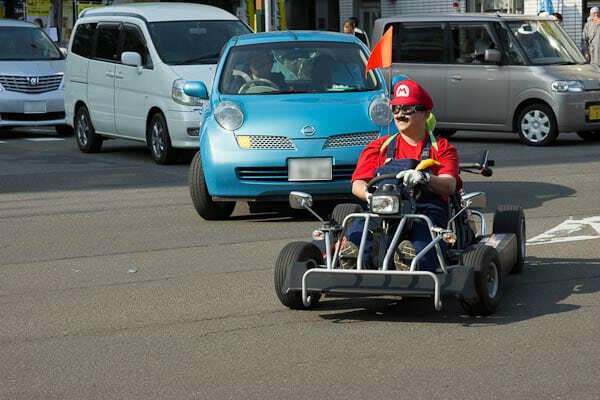 i love mario kart. 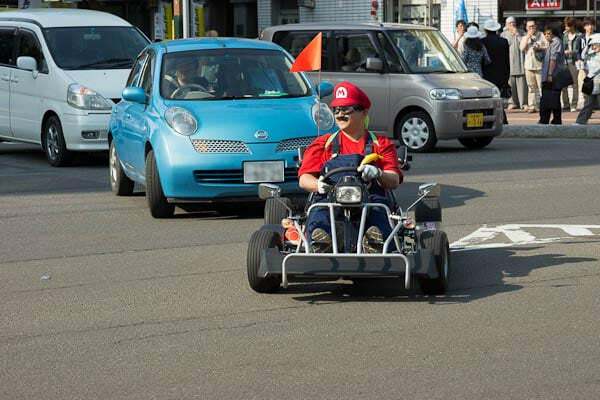 super mario cart is seriously the best game ever. 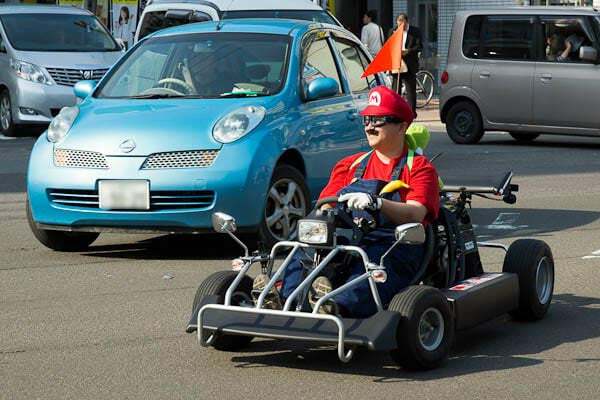 and he brings a banana! 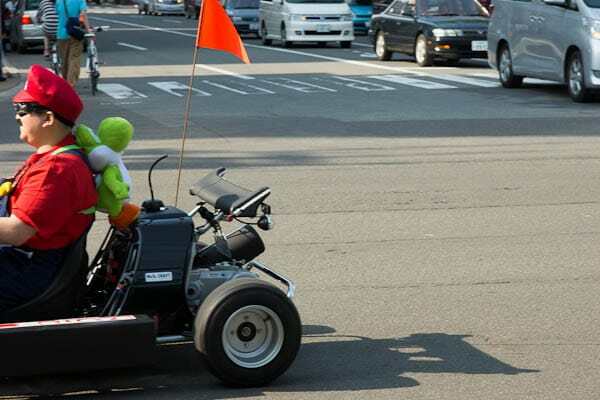 always good to have when mariokarting..
Nope, Sapporo, but that’s crazy that there are two of these things rolling around Japan.